Track and analyze kinetics and dynamic motion in real-time with this powerful research-grade motion capture system that features exceptional spatial and temporal accuracy. The Optotrak Certus® motion capture system offers maximum flexibility for your motion capture applications through its unsurpassed accuracy, high-speed marker frequency, portable design, and virtually wireless marker option. Built with the superior accuracy and reliability of the renowned Optotrak 3020 series, Optotrak Certus is the gold standard among research scientists. Northern Digital Inc. specializes in designing and manufacturing research-grade motion capture systems as opposed to animation-grade motion capture systems. 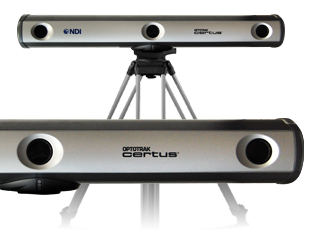 The Optotrak Certus is a research-grade motion capture system. With an accuracy of up to 0.1 mm and resolution of 0.01mm, the Optotrak Certus Motion Capture System continues to deliver the degree of precision that has become an Optotrak hallmark. Northern Digital Inc ensures that its existing customers can take advantage of new software and hardware features. We strive to ensure backwards compatibility of new features with previously developed systems. A maximum marker frequency of 4600 Hz enables you to capture data at even higher speeds. In addition, the Optotrak Certus can track up to 512 markers and is pre-calibrated for fast set-up and ease of use. Optotrak Smart Markers, a unique inline wiring and branching technology, simplify experiment execution by providing complete freedom of movement for research subjects. The size and weight of the Optotrak Certus makes it easy to move between locations. A wide variety of stands and mounts provide flexibility so the system can be positioned by a single person and ready for use in minutes. The Optotrak Certus is available with a range of intelligent strobers, enabling you to configure the marker activation order through provided software. For existing Optotrak 3020 users, the Optotrak Certus offers backwards compatibility so that you can enjoy many of the benefits of the new system with your existing configurations. The Optotrak Certus provides exceptional spatial and temporal accuracy. You can be sure that Optotrak Certus data is objective and accurate. The Optotrak Certus delivers true real-time data 100% of the time. The exceptionally low latency of this data makes it ideal for virtual reality and other feedback applications. Spend research time doing research instead of data-sorting! The Optotrak Certus will NEVER misidentify or lose identity of markers. This means that time consuming and error prone manual data sorting is never required. As soon as you have collected data from your subject, you are ready to start analyzing. The Optotrak Certus is not hampered by false signals created by reflections, thus there is no need for any special preparations to your lab. First introduced in 1989, the Optotrak quickly established itself as the gold standard in accurate and reliable measurement systems for medical and human motion research. Optotrak technology is the premier choice of industries, universities and research institutions around the world. As research in medicine, biomechanics and industry advances, new applications for the Optotrak Certus motion capture system are continuously in development. Incorporating specialized sensor technology and sophisticated optics design, the Optotrak Certus delivers superior performance in 3D tracking and measurement. NDI First Principles: provides an easy way to observe, record, play back, and manage data produced by an Optotrak or 3D Investigator systems. First Principles also allows for easy integration of 3rd party devices, such as force platforms, EMG systems, eye-trackers, and many others. DataView: allows viewing of Optotrak motion capture data files by frame or by marker, as graph or text. 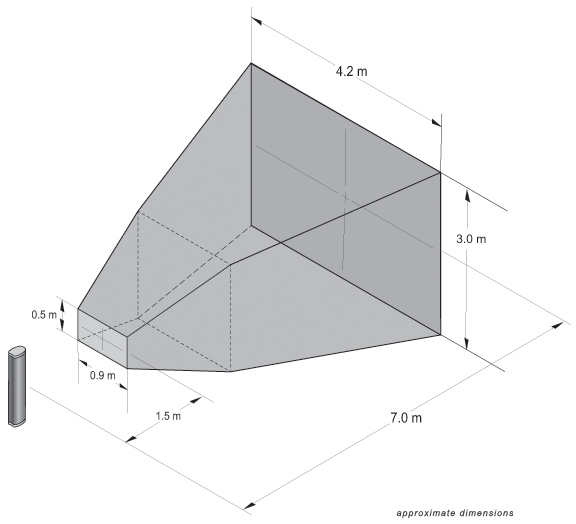 6D Architect: simplifies the tool characterization process, as well as the creation of tool definition files.